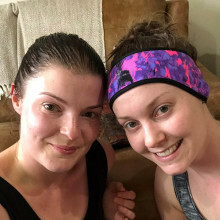 Becks Jones will be running the iconic race on Sunday 28 April to raise £7,000 and thank The Sick Children’s Trust for supporting her family in free ‘Home from Home’ accommodation just minutes from her daughter’s hospital bedside. Seeing Bobby laugh and play with his sisters in an environment other than the hospital ward gave us the small glimmer of hope we so dearly needed. At just five years old, Bobby, was involved in a car accident which left him with life-threatening injuries. and was airlifted to Addenbrooke’s Hospital, Cambridge. He had just a 10% chance of survival and within 48 hours underwent three brain surgeries. It was during this time that Jeff and Carly were told about Acorn House, which became their home for four months. 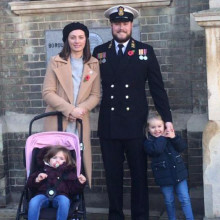 Chief Naval Petty Officer Ryan ‘Nobby’ Halls, 32, organised a fundraiser aboard HMS Westminster, the Type 23 frigate of the Royal Navy, last year to thank The Sick Children’s Trust for supporting his family over Christmas 2016 when his daughter, Sadie, was diagnosed with bronchiolitis and rushed to Addenbrooke’s Hospital in Cambridge, miles from the family’s home in Thetford. 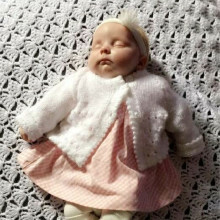 Grandma Donna has raised over £800 by organising a sponsored walk to thank The Sick Children's Trust for supporting her family whilst her granddaughter was fighting cancer. If it hadn’t been for Chestnut House, we would’ve had to sleep in the car or make a two hour journey every day. 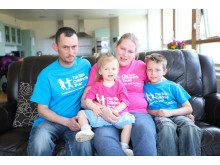 Meet the Jones family, who were supported at Acorn House. Little Jenson was starved of oxygen at birth and needed specialist treatment at Addenbrooke's Hospital. 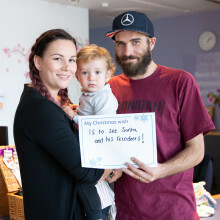 Katie and Jay share their experience with us in support of our Christmas appeal, My Christmas Wish. Even though we were in hospital over Christmas, we could still spend the day together as a family. I had a healthy pregnancy and there was no clue that my birth would be anything other than straightforward. What actually happened, however, was my worst nightmare. This time last year things didn’t look good for Noah, but this Christmas he is thriving and we will be celebrating at home with close friends and family. 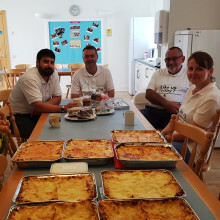 Every time I walked through the front door at Acorn House and was greeted by Abi I relaxed and knew that, whilst we chatted, I would feel normal. 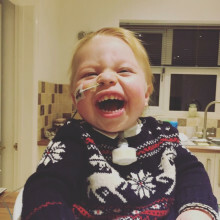 A devoted Dad, Ryan Mathewson, has shared his experience of staying in both Chestnut and Acorn Houses on multiple occasions whilst his son William has received lifesaving treatment at both The Rosie and Addenbrooke’s. Having two babies in two different hospitals was a nightmare, but at least staying in Acorn House meant I could be right there with one of them. 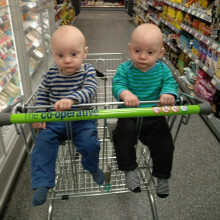 Steph Elderton and her husband, Mark, were left terrified when their six week old identical twin boys, Reece and Luca, were diagnosed with bronchiolitis and admitted to Hinchingbrooke Hospital in January. In a bid to save Luca’s life the decision was made to transfer him to Addenbrooke’s Hospital in Cambridge for specialist treatment. During this time we supported Steph in Acorn House. I coped with my daughter being in hospital by talking to others at Acorn House. Annabelle is turning one year old in November and over the course of the last year has been in and out of hospital. 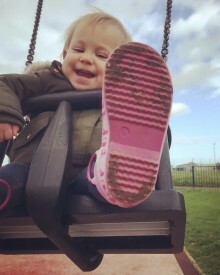 When Annabelle was four months old she was rushed to Addenbrooke's Hospital as her intestine had folded in on itself. During her treatment in Cambridge we supported her parents at Acorn House. Ismael, who has battled with cancer since he was 16 months old, has started school the the first day. The little boy, who has now defeated leukaemia, wants to be a dinosaur when he grows up. 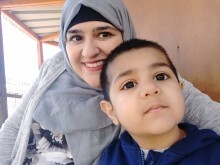 Read his story and how we supported his family at Acorn House. 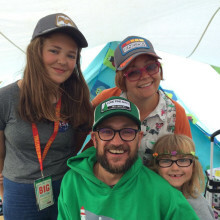 For the second year in a row, Philippa Rabbits is organising a fundraising event as thanks for supporting her and her partner, Matt, in Acorn House whilst their daughter needed emergency surgery. 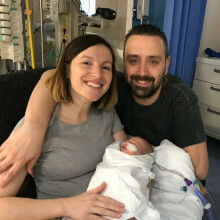 A devoted Dad, Russell Cooper, is taking on an epic cycle challenge to raise money for The Sick Children's Trust after we supported him and his fiancé Kelly at Acorn House whilst their baby boy received lifesaving treatment in Addenbrooke's Hospital. Miracle survivor takes on Great North Run - again! 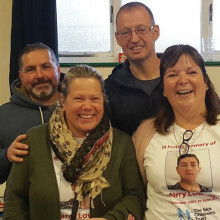 A birthday party to celebrate a young man's 21st birthday has raised over £5,000 for The Sick Children's Trust and two other charities close to his heart. 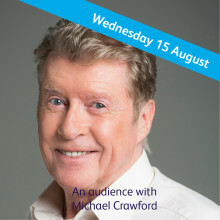 A new date has been announced for 'An audience with Michael Crawford' taking place at The Guildhall in Cambridge. 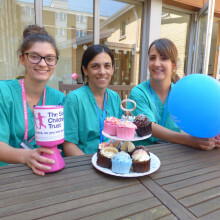 The Sick Children's Trust has been selected as the Cambridge Building Society's Summer partnership and have kicked off their fundraising with a Big Chocolate Tea event and cooking in Acorn House. 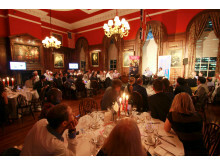 Acorn House hosted its very own party to celebrate the return of Big Chocolate Tea. With a selection of tasty treats and delicious cupcakes to enjoy, the day was jam-packed with lots of chocola-tea fun! 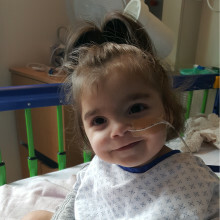 The Sick Children’s Trust was there for us when we didn’t think our precious baby girl was going to make it; without them I don’t know how we would have survived. 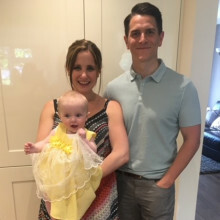 We supported Rhiannon and Zak in Chestnut House for three weeks when their daughter Luna was recovering from necrotising enterocolitis.. Luna has since battled pneumonia, been declared profoundly deaf and had stoma reversal surgery at Addenbrooke’s Hospital. When the family returned to Cambridge for Luna’s second operation, Rhiannon and Zak stayed with us again at Acorn House. 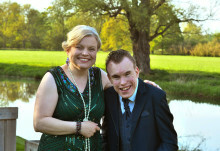 Tom Fowler, who stayed with us at Acorn House along with his wife Gemma in 2010, is running this year's Virgin Money London Marathon for #TeamSCT and hopes to raise over £500 to thank The Sick Children's Trust for providing them with free 'Home from Home' accommodation when they needed it most. Andrew Harvey, 43, from Bacton, is training five days a week to complete the Virgin Money London Marathon and raise £2,500 for The Sick Children’s Trust which supported his neighbours, Tracey and Gary Lowings, with free ‘Home from Home’ accommodation while their son, Harry, battled for his life in two specialist hospitals miles away from home. Having a room to stay in at Acorn House gave us a quiet place to be together and reflect on how lucky we had been. Pollyanna's parents were supported by The Sick Children's Trust at Acorn House after she underwent lifesaving surgery at just 12 weeks old. Jamie’s Peddars Way 46 mile walk. 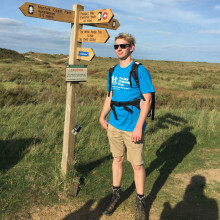 Jamie recently completed a three day trek which raised £1,600 for The Sick Children's Trust as thanks for supporting his family when he was in Addenbrooke's Hospital nine years ago.